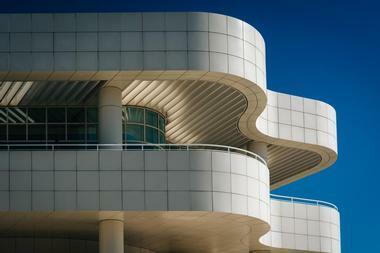 Los Angeles has a number of excellent and highly diverse museums that are well worth a visit. 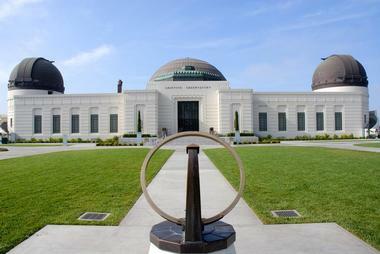 Some museums are located in iconic spaces, such as Griffith Observatory. 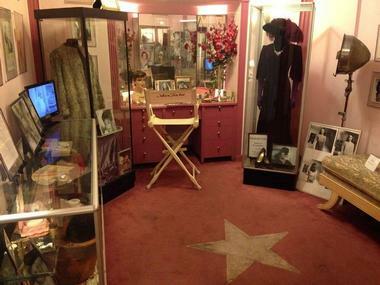 Many are related to the world of movies and show business, such as the Grammy Museum and the Hollywood Museum. The California Science Center is a museum located in Exposition Park, Los Angeles, next to the University of Southern California. Founded in 1985, it is the largest hands-on science museum on the West Coast and includes a number of permanent exhibits such as the space shuttle Endeavour, an IMAX movie theater, a climbing wall, a high-wire bicycle, and a motion simulator. The center provides an innovative way to learn science by combining permanent and temporary exhibits with the on-site Amgen Center for Science Learning, the Science Center School, and a professional development program for teachers. In the center, which occupies over 400,000 square feet, visitors can learn about aerodynamics, explore the construction of earthquake-resistant buildings, see space capsules up close and personal, get blasted in a hurricane simulator, learn about a combustion engine, and see how a crash-test dummy works. 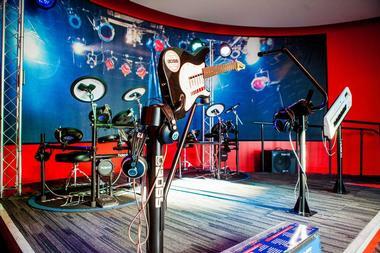 The GRAMMY Museum is an interactive, hands-on museum focused on the history of the Grammy Awards and its winners. The museum’s goal is to inspire visitors to learn more about various musical genres through videos, touchscreens, and recording booths. The museum has a rich collection of old music artifacts, such as Grammy winners’ costumes, various musical instruments, records, hand-written lyrics, and audio and video recordings. Besides permanent exhibits, the museum frequently organizes temporary exhibitions such as Katy Perry Frock and Roll: Transforming Music and Fashion, 40 Years of Punk in LA, Ella at 100: Celebrating the Artistry of Ella Fitzgerald, and many others. Besides the original GRAMMY Museum in downtown Los Angeles, there are two other GRAMMY museums, in Cleveland, Mississippi, and in Nashville, Tennessee. 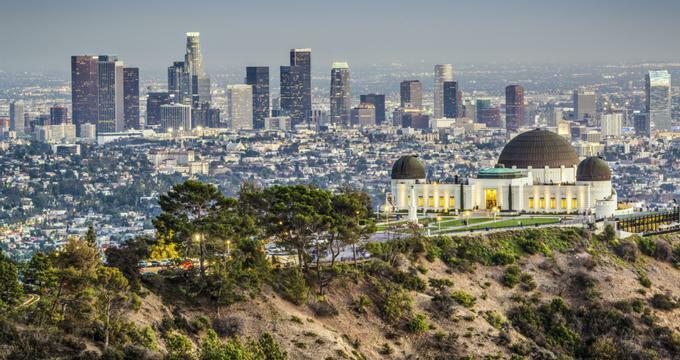 Griffith Observatory is a beloved Los Angeles icon, a leader in public astronomy, a popular gathering place, and one of the most popular attractions in Southern California. Located in Griffith Park on the slope of Mount Hollywood, the observatory is located at 1,134 feet above sea level and can be seen from many parts of Los Angeles. It is the best spot for taking photos of the world-famous Hollywood Sign and it offers fantastic views of the whole city and its surrounds. Entrance to the observatory is free of charge and it is one of the most popular venues for informal education in the States. Griffith Observatory is an interesting combination of public planetarium, observatory, and exhibition space. Located on Museum Row in Los Angeles, the Zimmer Children’s Museum by ShareWell features hands-on exhibits for children until the age of 8, allowing them to explore big ideas in inspiring and creative settings. 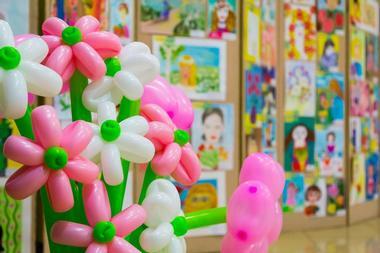 It is the only museum in Los Angeles dedicated to kids and families. The museum’s goal is to cultivate generous and brave thinkers through hands-on play and real-world activism. In the Mann Theatre, kids get to stage their own show with friends, while in Discovery Airport they fly real planes. The museum has more than 10,000 square feet of exhibit space and over 20 public programs and classes in music, art, movement, school readiness, cross-cultural exchange, early childhood education, and foreign languages. In early 2019, the Zimmer Children’s Museum by ShareWell heads west to Santa Monica Place. Please join them at the new Cayton Children’s Museum as they play their way to a better world! Located high up on the hill in the Brentwood neighborhood of Los Angeles, the Getty Center, the primary location of the Getty Museum, is a wonderful place to visit. The building that houses the collection is beautiful and calming, designed by Richard Meier, and surrounded by magical gardens. The part of the Getty Collection housed in the center covers Western art from the Middle Ages to present times. The museum's other location, the Getty Villa, is in Malibu and showcases art from ancient Greece, Rome, and Etruria. The collections include illuminated manuscripts, drawings, paintings, sculptures, decorative arts, and photography from its invention to the present day. 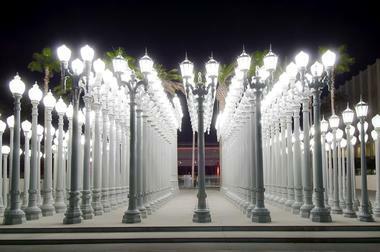 Established in 1965, the Los Angeles County Museum of Art, or LACMA, is located in Hancock Park on more than 20 acres of manicured land, stretching between downtown LA and the ocean. LACMA is the largest art museum in the western US, and it owns a collection of more than 120,000 artworks that span the time from antiquity to today. The collection includes works from all over the world and almost the whole of art history. Some of the museum’s most important collections are Asian art, Latin American art from the pre-Columbian era to the present, and Islamic art, with one of the most important collections in the world. The museum frequently shares its collections through various exhibitions and programs as well as use of its research facilities. 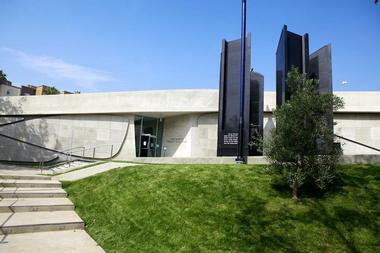 The Los Angeles Museum of the Holocaust is located in the Fairfax district of Los Angeles. It was founded in 1961 by Holocaust survivors and is the oldest such museum in the States. Since 2010, it has been located in an award-winning structure in Pan Pacific Park. The museum is a primary source of information on the Holocaust, houses a large number of artifacts that survived the Holocaust, and honors those who perished and those who miraculously survived. The museum’s ultimate goal is “promoting empathy and fighting intolerance.” The museum offers docent-led public tours Sunday afternoons at 2:00 pm followed by talks with Holocaust survivors at 3:00 pm. Admission to the museum is free. The Natural History Museum of Los Angeles County is the largest natural museum in the western US. 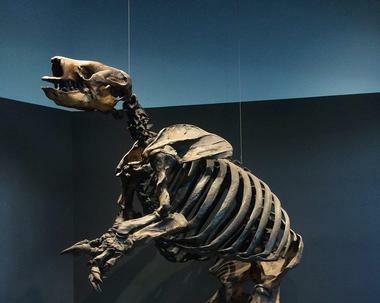 The museum’s permanent collection consists of almost 35 million artifacts and specimens that cover 4.5 billion years of the world’s natural history. Visitors can see dinosaurs in Dinosaur Hall, go behind the scenes to see how scientists examine fossils in the Dino Lab, have a close look at 240 specimens of skeletons including mastodons and whales, and view dioramas showcasing animals from Africa and North America. 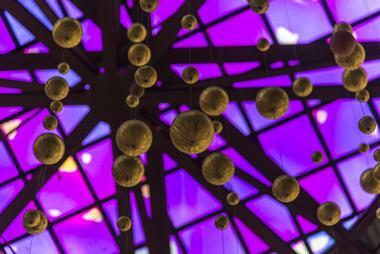 Walking through the beautiful Nature Gardens, visitors can learn about plants and animals in the Nature Lab, touch over 2,000 specimens in the Gem and Mineral Hall, and see real diamonds, sapphires, rubies, and other precious gems in the Vault. There is also the Spider Pavilion and the Butterfly Pavilion, which offers visitors a chance to get up close and personal with over 30 species of butterfly. The Petersen Automotive Museum is located on Museum Row in the Miracle Mile neighborhood in Los Angeles in a historical former department store designed by renowned architect Welton Becket. 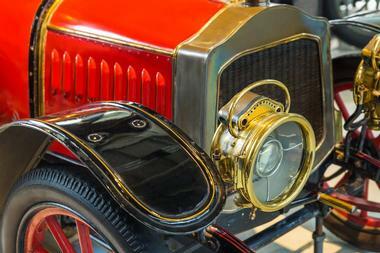 The museum is focused on the history of automobiles and their impact on American culture and life. Spread over 300,000 square feet on four floors, the exhibits and incredibly realistic dioramas showcase about 150 classic and rare trucks, cars, and motorcycles. The first floor exhibits follow the history of the automobile, inviting visitors to walk through dioramas and exhibits designed to look like early Los Angeles at the time when the first shopping district was built. The second floor has five rotating galleries containing race cars and classic cars, concept cars, vintage motorcycles, and cars that belonged to celebrities or that appeared in movies. There is also the May Family Discovery Center, a conference center, and the Founders Lounge and kitchen, which is available for special events. 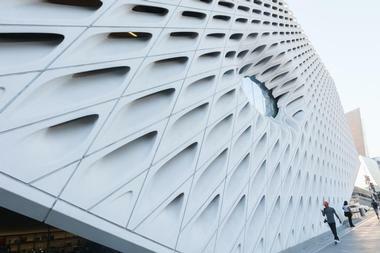 The Broad is a contemporary art museum in downtown Los Angeles founded by Eli and Edythe Broad. The museum building was designed by Diller Scofidio + Renfro and houses over 2,000 works of art from The Broad Collection. It is one of the most significant collections of postwar and contemporary art in the world. 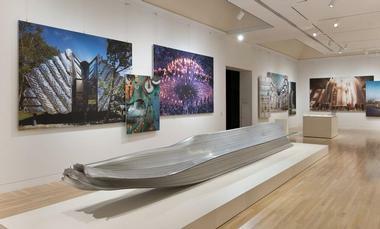 The innovative "veil-and-vault" design of the 120,000-square-foot building has two floors of gallery space. Besides showcasing the collection, the building is also the headquarters of The Broad Art Foundation's art lending library. Admission to the museum is free, but because of the museum’s popularity, it is recommended to make reservations in advance. Located in the historic 1914 Max Factor Building, the Hollywood Museum is a temple to Hollywood stars and everything Hollywood. It hosts the most extensive collection of Hollywood memorabilia in the world. The museum features four floors of exhibits with over 10,000 authentic costumes, props, scripts, photographs, and collectibles from famous movies and shows. There are entire makeup rooms on the ground floor and personal items from such stars as Judy Garland, Joan Crawford, and Marilyn Monroe. There is also Cary Grant’s 1965 Silver Cloud Rolls-Royce and Hannibal Lecter's cell from The Silence of the Lambs. The Museum of Contemporary Art, Los Angeles (MOCA) comprises three distinct units in three locations in greater Los Angeles, California. The main branch is located in downtown Los Angeles, close to the Walt Disney Concert Hall. 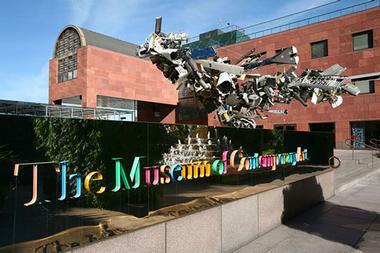 The museum’s original space is now known as the Geffen Contemporary and is located in Little Tokyo in downtown Los Angeles. The Pacific Design Center is located in West Hollywood. The museum’s primary focus is on European and American contemporary art created since 1940. The exhibitions cover contemporary artwork from lesser known and overlooked artists, but also feature masterpieces by Mark Rothko and Jackson Pollock. Admission is free on Thursday nights. The Hammer Museum was founded in 1990 by the industrialist Armand Hammer to house his extensive art collection and share it with the public. Since then, the museum has expanded and has grown into one of "the hippest and most culturally relevant institutions in town." The Armand Hammer Collection contains works of art from the 16th to the 20th centuries and includes works by masters such as Paul Cezanne, Paul Gauguin, Edgar Degas, Edouard Manet, Claude Monet, and Gustave Moreau. The museum frequently holds exhibitions of overlooked and emerging artists. The museum also conducts more than 300 programs every year, including lectures, concerts, symposia, readings, and film screenings. Entrance to the museum's collections, programs, and exhibitions is free of charge. The museum is affiliated with the University of California, Los Angeles.